“Good health, as an attribute of human well-being, precedes every other possession of mankind. Many years ago, Lord Buddha observed ‘To keep the body in good health is a duty... otherwise we shall not be able to keep our mind strong and clear’. A healthy population is a true reflection of a country’s progress. 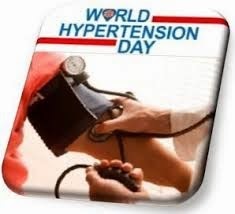 High blood pressure also known as ‘Hypertension’ affects millions of Indians. It can lead to heart attacks, heart failure, kidney failure, stroke-paralysis and loss of memory. It is estimated that hypertension is responsible for 1.1 million deaths annually, accounting for nearly 11% of all deaths in India. The President of India, Shri Pranab Mukherjee has extended his greetings and felicitations to the King and people of the Kingdom of Norway on the eve of their Constitution Day (May 17, 2015). In his message to His Majesty King Harald V, the King of Norway, the President has said, “On behalf of the Government, the people of India and on my own behalf, I have great pleasure in extending to you and to the people of the Kingdom of Norway, warm greetings and felicitations on the occasion of your Constitution Day. India and Norway enjoy a relationship of friendship and cooperation that has steadily acquired greater substance and significance in recent years. I warmly recall my State Visit to your beautiful country last year and the gracious hospitality extended to me and to my delegation. It was an occasion when we spoke about all aspects of our bilateral relations and I very much valued your perceptions. The all-round advancement of your nation and people was impressive and inspiring in many ways. I am pleased to note that following my visit, a large Parliamentary delegation from Norway visited India in February 2015 and significant progress has been made in our bilateral cooperation in higher education and research. We appreciate the enhanced level of Norwegian Global Pension Fund investments in India. Such incremental steps will, no doubt, contribute to further strengthening our bilateral relations. I am confident that the current positive momentum in our collaborative efforts will be sustained in the future to the mutual benefit of our peoples. Please accept, Your Majesty, my best wishes for your good health and happiness and for the continuing progress and prosperity of the people of Norway”. Minister of Health & Family Welfare Shri Jagat Prakash Nadda will preside over the 68th Session of the World Health Assembly (WHA) at Geneva as India assumes the Presidency of the WHA, the high decision making body of the World Health organisation (WHO), after a gap of 19 years. The Union Minister is leading a high level Indian delegation to the WHA, to be held in Geneva during 18-27 May, 2015. The 68th World Health Assembly is expected to deliberate on key issues of global interest including anti-microbial resistance, air pollution and health, global health emergency, preparedness and surveillance, global strategy and plan of action on public health, innovation and intellectual property, and research and development in neglected tropical diseases. The Union Minister will also participate in a number of bilateral and multilateral meetings on the sidelines of the WHA including the Commonwealth Health Ministers’ Meeting, 8th NAM Health Ministers’ Meeting and BRICS Health Ministers’ meeting. In his capacity as the President of the WHA, the Minister for Health and Family Welfare will also be hosting a reception for Health Ministers attending the Assembly on 19 May, 2015. Prior to the reception, Shri J P Nadda and Dr. Margaret Chan, Director-General, WHO will jointly inaugurate a photo exhibition “Yoga for All, Yoga for Health” to mark the adoption of a resolution by the UN General Assembly declaring June 21 as the International Day of Yoga. Union Home Secretary Shri L.C. Goyal has called for building capacities of the National Disaster Response Force (NDRF) and State Disaster Response Forces (SDRFs) to tackle natural and man-made disasters effectively. Inaugurating the Annual Conference of Relief Commissioners/Secretaries Department of Disaster Management of States/UTs to review the status of preparedness for South West Monsoon 2015, here today, Shri Goyal said that the primary responsibility of disaster management rests with the State Governments. Noting that only 21 States have constituted SDRFs, the Union Home Secretary said that he expected the other States to set up SDRFs in a given timeframe and the States should utilize the funds given to them by the 14th Finance Commission for this purpose. On its part, the Central Government has already sanctioned two more Battalions in addition to the 10 existing Battalions of NDRF to supplement the efforts of the State Governments. NDMA is also giving technical support and logistics to the States, he added. Pointing out that the three C’s,- Capacity, Coordination and Community Participation, - are the pillar stones of Disaster Management, Shri Goyal said that the role of Civil Society including NGOs has become critical in Disaster Management. He said that Disaster Management is a joint effort and preparedness becomes critical in hour of crisis to tackle the disaster effectively. He called for the government Authorities, Civil Authorities, NGOs and each and everyone to join in this real social service which is related to the saving of human lives. He said that every warning issued by the India Meteorological Department must be taken seriously whether it is big or small. Shri Goyal said that the flood situation due to Jhelum river in Jammu & Kashmir and Brahmaputra in Assam cannot be tackled without periodic dredging. The Union Home Secretary also said that the Annual Conference should be held twice a year. Every year, apart from this Annual Conference, another conference should be held in October/November to review/assess the works done in this field and take lessons and best practices for better management of different disasters. In his address, Director General NDRF, Shri O.P. Singh said that during the Nepal earthquake, it was proven that the NDRF capacities are second to none as regards Search and Rescue (S&R) methods and equipments in a situation where S&R teams from 34 countries were present. Shri R.K. Jain, Member Secretary, NDMA said that though we are now able to save more human lives due to floods, still more attention needs to be paid to minimizing loss to livelihood including livestock. Earlier Shri B.K Prasad, Additional Secretary, and Shri K.K. Pathak, Joint Secretary Disaster Management also addressed the conference. Relief Commissioners and Secretaries of Department of Disaster Management of States and UTs, besides top officials of NDMA, IMD, ISRO, CWC, GSI, NIC, NDRF, NIDM and UNDP participated in the daylong conference. Civil Services aspirants, student leaders and representatives of Akhil Bharatiya Vidyarthi Parishad (ABVP) called on Union Minister of State (Independent Charge) for Development of North Eastern Region (DoNER), MoS PMO, Personnel, Public Grievances & Pensions, Atomic Energy and Space, Dr Jitendra Singh at his North Block Office here today and thanked him for the revolutionary decision to change the exam pattern of IAS and Allied Services. Acknowledging the gesture by the young scholars, Dr Jitendra Singh said, Narendra Modi Government is committed to provide “Maximum Governance with Minimum Government” and to achieve this objective in true spirit, we need to attract into Civil Services such youth who not only have calibre but also have an inborn aptitude for administration. The decision has been taken to revise the pattern and syllabus of the Civil Services Exam (CSE) in such a manner as to provide a level playing field to all the aspirants, regardless of their background, rural or urban upbringing, or stream/subjects studied by them. Dr Jitendra Singh said, for the very first exam of Civil Services that took place in the month of August 2014 after this Government took over, the Department of Personnel & Training (DoPT) decided to scrap the 22-mark English portion in CSAT-Paper II of the Preliminary Exam so that no aspirant would experience the disadvantage of not having studied in an English medium school or college. Time has come when educationists must sit down and devise a selection pattern which enables inclusion into Civil Services of such candidates who can live up to the requirements of governance in the 21st century India, he added. “We have come a long way since the time when a Collector was meant to collect revenue”, said Dr Jitendra Singh and added, “today we need Collectors who can generate revenue for a host of poverty eradication schemes introduced by PM Narendra Modi”. The need of the hour is to have such administrators who could carry forward schemes like “Jan Dhan Yojana” to the poorest of the poor and the remotest of the remote with sensitivity and effectiveness, without getting stuck up in red tapism or dogmatism, he said. The student leaders who visited Dr Jitendra Singh expressed gratitude and satisfaction at the decision to declare CSAT as qualifying and determine the merit of the Preliminary Examination purely on the basis of marks obtained in the General Studies Paper No.1.